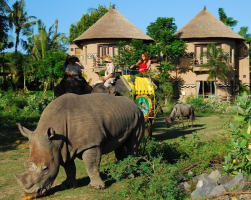 The Jungle Hopper ticket – our number one selling Safari experience on your holiday in Bali! 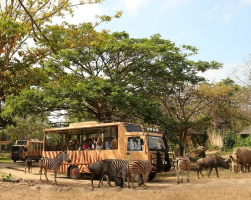 Jungle Hopper embarks you on an adventure in wildlife to encounter a wide variety of animals, even endangered species. Please see inclusions! 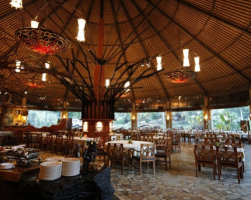 Your Dragon ticket immerses you in a fun and educational adventure at Bali Safari – home to hundreds of amazing animals representing over 60 species. 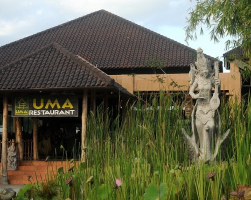 Your experience will include seeing rare and endangered species, such as the Komodo Dragon, Orangutan, and the Bali Mynah bird. 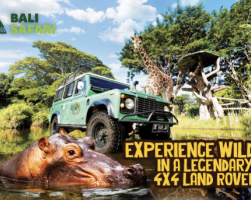 Take your family and friends on a complete, fun-filled theme park adventure at Bali Safari! Your Leopard ticket gives access to thrilling rides, before or after your safari journey, and is inclusive of exciting attractions, lunch, photo opportunities, Waterpark access and 10 minutes on the back of an Elephant! Immerse yourself in the home of hundreds of amazing animals - Bali Safari is your destination for an adventurous, fun, educational experience. See animals representing over 100 species, including rare and endangered species - the Komodo Dragon, Orangutan and the Bali Mynah bird. 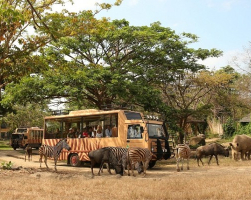 Enjoy an unlimited Safari Journey, express lines, and VIP treatment. Ride on the back of an elephant! Your Elephant Back Safari ticket will give you access to a fun and truly unforgettable experience. Your ticket includes access to our amazing shows, a safari journey and our aquarium. 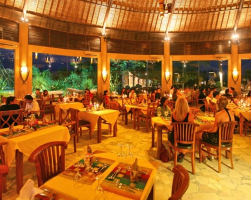 Your Night Safari ticket is exciting, special and full of fun. See our Fire Show, enjoy a BBQ dinner and you will experience a true natural wildlife encounter. The Adventure ticket puts you right in the action! 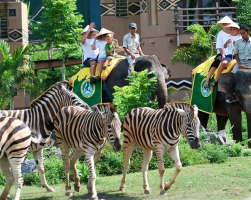 Take your family or friends on a fun-filled theme park adventure at Bali Safari and Marine Park! The Adventure ticket also includes our elephant show and you’ll enjoy exciting fun park rides before or after your Bali Safari experience. Valid after 2 PM. 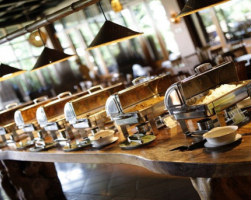 You will be accompanied by our pride of lions while enjoying food at our Tsavo Lion Restaurant – safely separated by full-length-viewing glass panels.